Russian universities attract students not only from the CIS counties, India, China, Vietnam and most African countries. According to Russia's Ministry of Education and Science, the share of students from Europe grew by 40% within one year. The geography is expanding: besides traditional Moscow and St. Petersburg, foreign student are choosing to study in Tomsk, Kazan, Kursk, Siberian and even Arctic cities. Maria Novitasari comes from Indonesia. 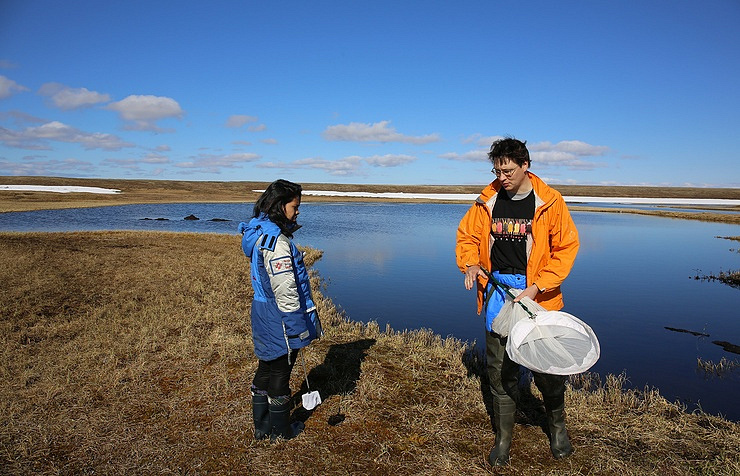 She was overwhelmed with the Arctic since childhood, though it was a matter of chance that she became a student at the Northern Arctic Federal University (SAFU). It was here that she for the first time in her life saw the snow, a frozen river, ice drift in spring, and even went to the high-latitudinal Arctic - as a member of the Arctic drifting university's expedition to Novaya Zemlya. 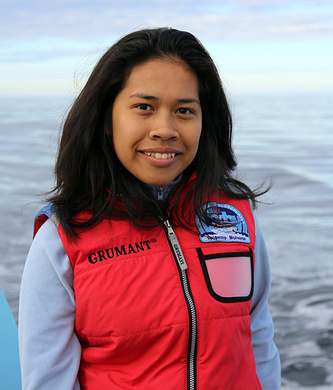 We met Maria right after an exam in the Arctic's Water and Climate Resources, which she passed with an "A." Two more exams to go. It is not often she is called Maria here, as her friends say this name does not sound "foreign" enough, they prefer to call her Ezra. "This is the name I am called at home," Maria said. "Some call me Masha. I like it. Sounds soft and even sweet. And Maria, well, it sounds as if I am grown up - about 30," she laughs. Novitasari is not the last name, it is the second first name, which means "born in November." Indonesian passports as a rule do not quote surnames. "But in the diploma Novitasari would be like a surname, like it is used to be in Russia. Some even use a patronymic for me - Renhard, though it is for official cases only." Indonesia offers a program, under which the state may pay for education abroad. Masha graduated from secondary school with honors, "thus I had high chances," she said. Her brother, who used to study in Russia's Krasnodar, advised her to come to study in Russia. "He said: Russia is a good country, people are very friendly there, you will find friends very easily," Masha said. 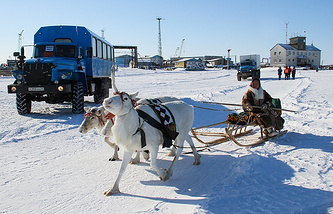 Maria says it was amazingly easy to get used to the culture and to Russia's northern climate. "The first winter, when I arrived, was "bad" - too warm and too little snow! But the following winter was very long. And the most complicated part was the Russian language. My native tongue is very simple: it does not have genders, cases or times. When I began studying Russia, I was asking my friends: how are you using cases?" She studied the language for one year. 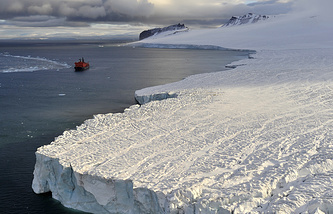 "I was aware SAFU has the Arctic floating university project. I came to its head and asked how to get involved. He asked me what I studied. I said: ecology and climate" - so, Maria passed a competition and went off to the Arctic to survey the climate's warming there. Maria has the experience of studying in Norway, and says she liked more the Russian educational system. "Here, we have many lectures and labs, while in Norway we had two days of classes, and on other days student study by themselves." She agrees the brother was right. "I speak English and I hoped it would not be a problem to find friends in Norway. But it turned out the opposite. In Russia, even when I did not speak the language, people used to talk to me, to help me. The people are so welcoming, especially the babushki (grannies)," and, when speaking about babushki, Maria says "they treat me with yummies " and adds she likes the Russian oatmeal cookies and the Arkhangelsk alga marmalade. "And the berries! There are no berries in Indonesia, and here together with the friends we gather them in summer. This is a discovery for me - cloudberry and the others. Besides, we gather mushrooms. In Indonesia, all mushrooms are poisonous, and you here are so lucky." In six months, Maria will become a Bachelor of Ecology and Natural Resource Management and will return home, where for two years she would be obliged to work in the profession. Parallel to these studies, the girl takes a course in Sweden in "Municipal Sustainable Planning" and plans getting a Master Degree there. "Also in the Arctic, possibly in Norway. I will be working in sciences, in the climate studies, probably researching its changes' effect on the indigenous peoples - it's a long way to go," Maria says with a smile as she gets wrapped in a long scarf, waves to us and glides away along the path, hiding from harsh gusts of the northern wind. A second-year student of the North-Eastern Federal University (SVFU) from Cote d'Ivoire Yannik Sompley Jilerou wants to be a diplomat and he is a professional football player at one of the best football clubs in Yakutsk. Initially, Yannik did not plan to stay in Yakutsk as he wanted to study within one year the Russian language and history at the preparatory department. "After SVFU I planned going to Vladivostok, but I enjoyed it here so much that decided to stay," he said. In the very beginning, the student from Cote d'Ivoire could not get used to the frosts in Yakutia. "I came here in October, it was freezing, minus 30. Honestly, I was not prepared for it - neither physically nor morally. It was tough, I would not leave the hostel. Was on the edge of depression, but with time I got used to it, got adapted," he said. Learning Russian was not easy. "The other students helped me out a lot, and the teachers understood me. Patience is necessary to study the law - to read the sources and documents. I have to read a text a few times to understand and remember it," Yannik said. The talent of a football player turned out very handy for him. He plays at the Zarya mini-football club, with is in the country's Super League. "I began playing since childhood, was an amateur at home. We participated in tournaments and simply played in the yard. Football is popular in Cote d'Ivoire, though nobody plays it indoors," he said. Yannik is a good player and he joined the University's team. The Zarya club saw his manner and unyielding character when the University team played at the city's tournament. "The club's coach invited me to the professional team, and later on I agreed," Yannik told TASS. However, playing football would not be his core objective, as he dreams to become a diplomat. "The UN former Secretary General Kofi Annan is my idol," he said. "I want to be useful for my country and the world." Later on, he will study for a Master Degree in Foreign Relations or Foreign Law. "I may go to study in Vladivostok," he added. The young man has clear objectives and says the frosts would not stop him from achieving the goals. "The cold is not a problem. I have the objective - to receive good education at the North-Eastern Federal University. Despite the severe climate, people in Yakutia are kind and hospitable - this is much more important," he said in conclusion. Amer Salom came to study at the Tomsk Polytechnic University (TPU) from Syria's Homs. Every year, without knowing it, he celebrated the Day of Russian Students - he was born on January 25. We know about Homs from the military reports. Certain time earlier, Salom used to teach at the local university. The Syrian is working hard to improve two - at TPU he studies modern intellectual energy systems and some of his works have been published in scientific magazines. His second skill relates to the Russian language. The language is extremely difficult, and studying it even at the elementary level requires enormous efforts, Amer says. "I am most happy to have the wonderful teachers. One of the teachers is a very kind woman. In the very beginning, when we spoke very badly, she used to play with us, and while playing we studied the language," Amer told TASS. 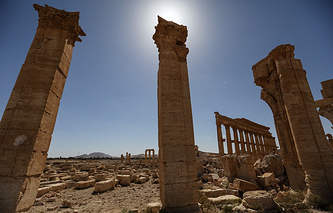 Syria had planned sending Amer to study in Germany; he studied the German language for a year. "But terrorist attacks and the political problems began in Syria, and Germany terminated the agreement," the Syrian student said. "My university offered to me going to Russia. I agreed." He was to choose a university from a list of Moscow, St. Petersburg, Kazan or Tomsk. "I searched the Internet to see where Tomsk is. In Siberia. At first, I got frightened: I thought it would be very dangerous there. The thing is - when at school teachers would tell us when we behaved badly - Calm down, or I shall send you to Siberia - the place of winter, cold and prisons. And I think: well, I have not done anything wrong, then why sending me to Siberia." But the choice was quick. After all the horrors of war, after all he saw at home, he dreamed of going far away. Amer did not speak any Russian before coming here. At the Tomsk University, he began studies from the very beginning. The Russian culture was not something unknown to him. From childhood he used to listen to the Russian classical music, the family had books by Russian authors, he even knew a few Russian words, though did not know what they meant. "My father is a communist. And we had Russian and Soviet things at home. We used to listen to Tchaikovsky. My mom comes from a town, where many Russians used to live. We would go there, and I played with Russian children," he said. "Since childhood, I remember the word "avtobus" (bus). However, only when I came to Russia I realized its meaning." No doubt, the biggest shock was the winter. He remembers, before departing from Syria he bought the warmest possible clothes and boots. He was sure thus he was prepared for the Siberian winter. But when he arrived, a student from Egypt, who by then had lived in Tomsk for a few years, looked at him and send over to the market to "buy correct, warm clothes." "When father calls me asking "Do you have snow there?" he cannot realize the snow is lying here. The reply to his question is "yes," for six months. He thinks it is like in Syria - the falling snow would melt in an hour," Amer says with laughter. At the same time, the Syrian does not like the summer in Siberia. Warm, but dull. All the students leave Tomsk for holidays. But Amer continues working hard, as he writes a dissertation. A very special topic is - mosquitoes. "They are simply horrible," the young man said. "Besides, the Russians do not know how to make tasty bread or coffee. You are killing coffee when you boil it like tea. At first, water should boil, and only then put coffee. Then stir, take off the stove, then again onto the stove. Continue so for five-seven minutes," he said. What he truly enjoys in Russia is the cultural environment he has. In Tomsk, at the university, he met interesting people, who became his friends. Those are not only people coming from Tomsk or elsewhere Russia. "I love people from Italy, France, Kazakhstan and other countries. And I hope we shall continue being friends even when we leave Tomsk," he added. Amer now studies and writes the final paper at the Tomsk Polytechnic University's Energy Institute. The studies will continue for 18 months, and then he plans returning to Syria, but hopes to be able to come to Tomsk again. Despite the winter. Despite the mosquitoes.